TF Lifestyle Joggers | Clean and Comfortable. The Tiger Fitness Lifestyle Joggers are perfect for every day use, so whether you're out with friends or looking to train at the gym in style, these joggers are perfect for you. The name implies exactly what they are perfect for, "Lifestyle". These joggers are made with high quality material to ensure you have the utmost comfort at all times with whatever you decide to wear them for! Pair these joggers with your favorite low-top kicks for the gym or some stylish basketball shoes for the best looks all around. 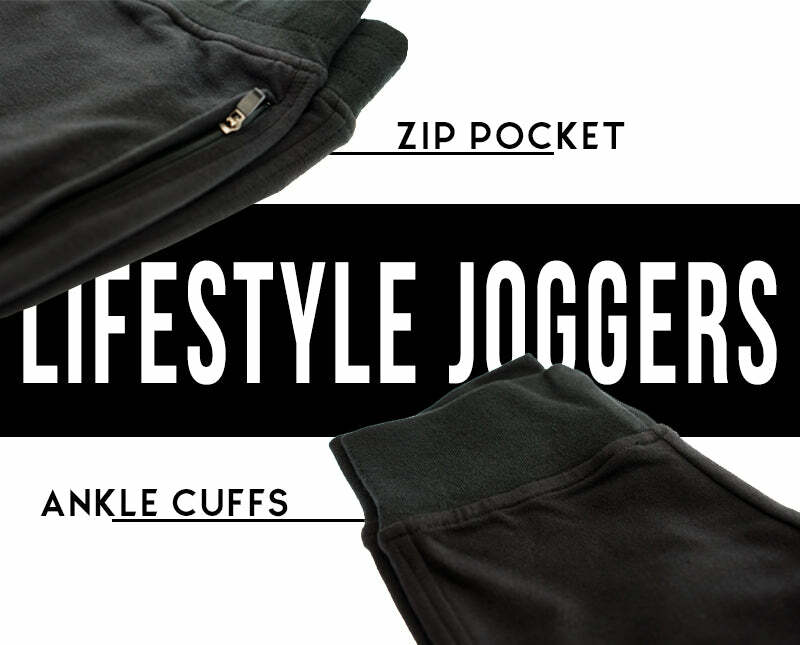 The Lifestyle Joggers are slim-fit so if you prefer loose fitting bottoms, please choose a size up when ordering.